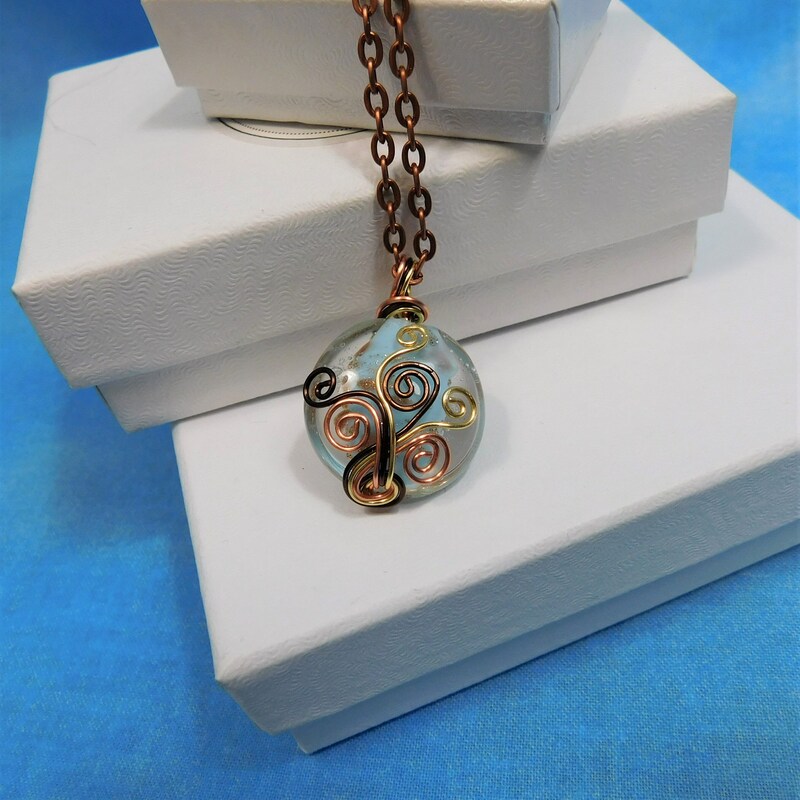 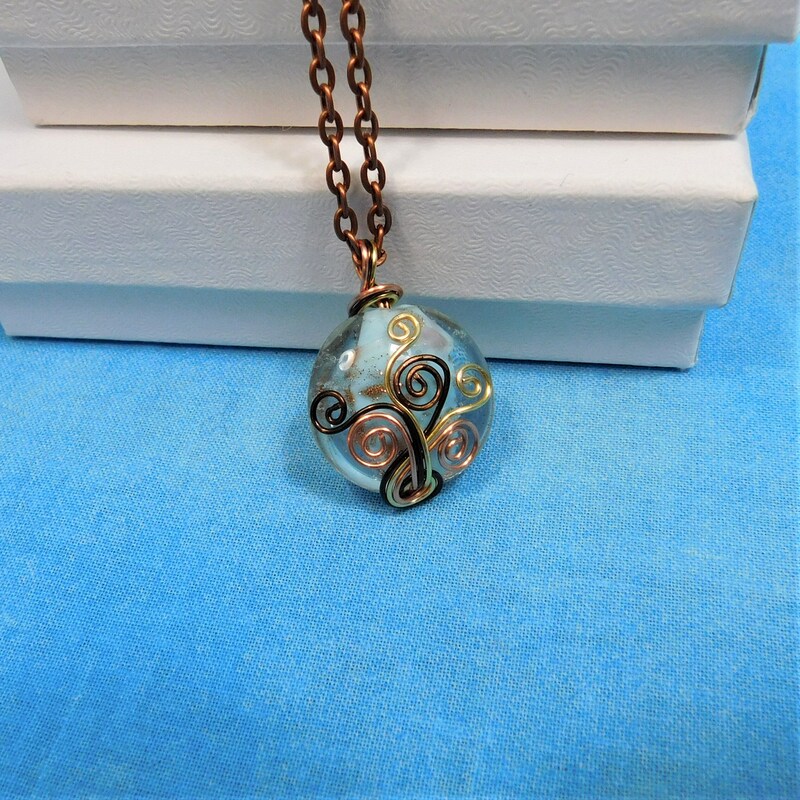 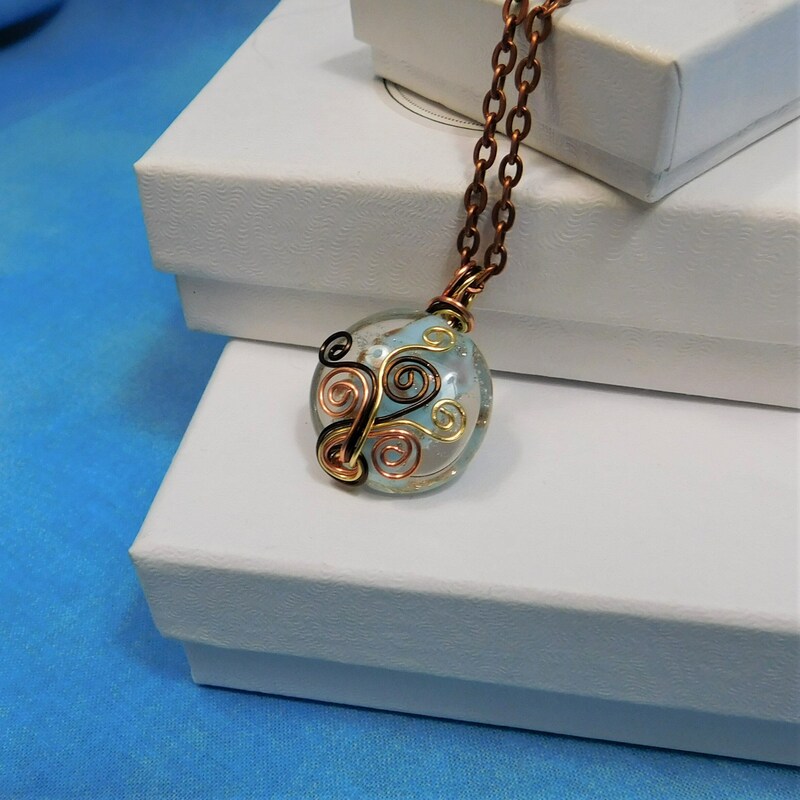 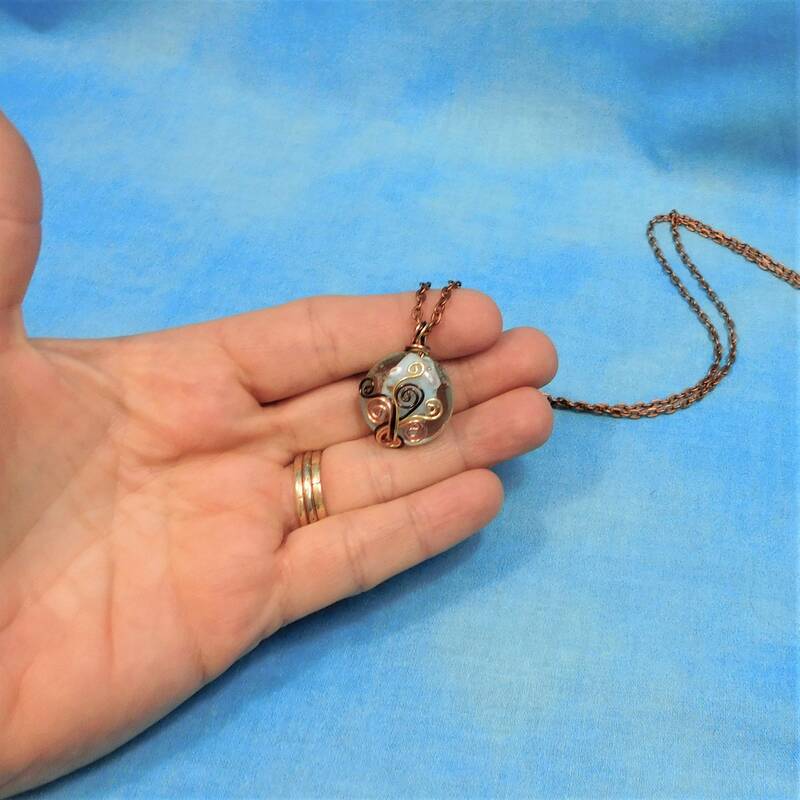 Three shades of copper wire artfully encircle and sweep around this lovely blue lampwork bead. 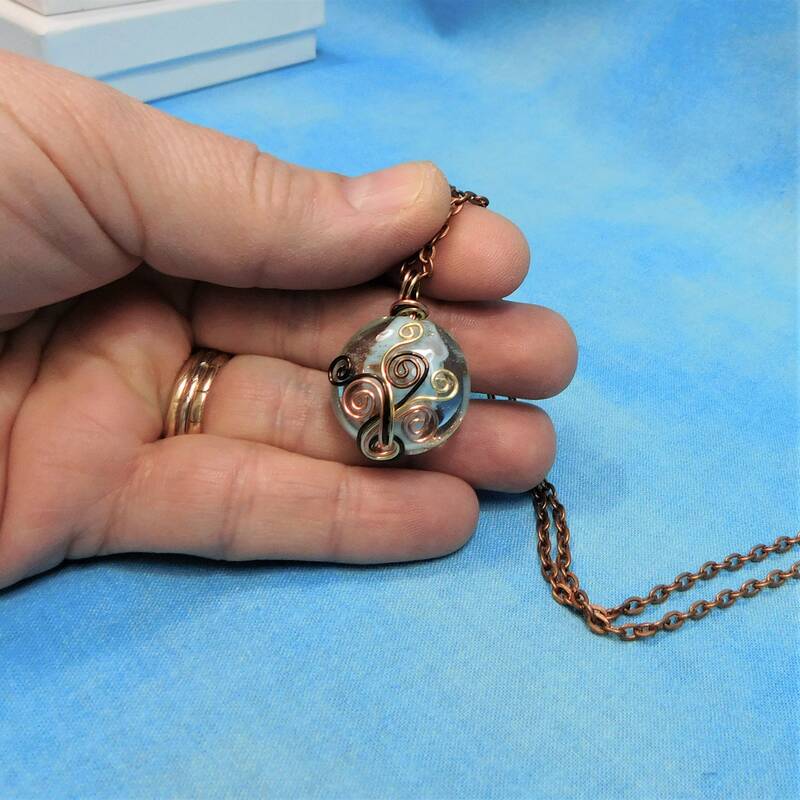 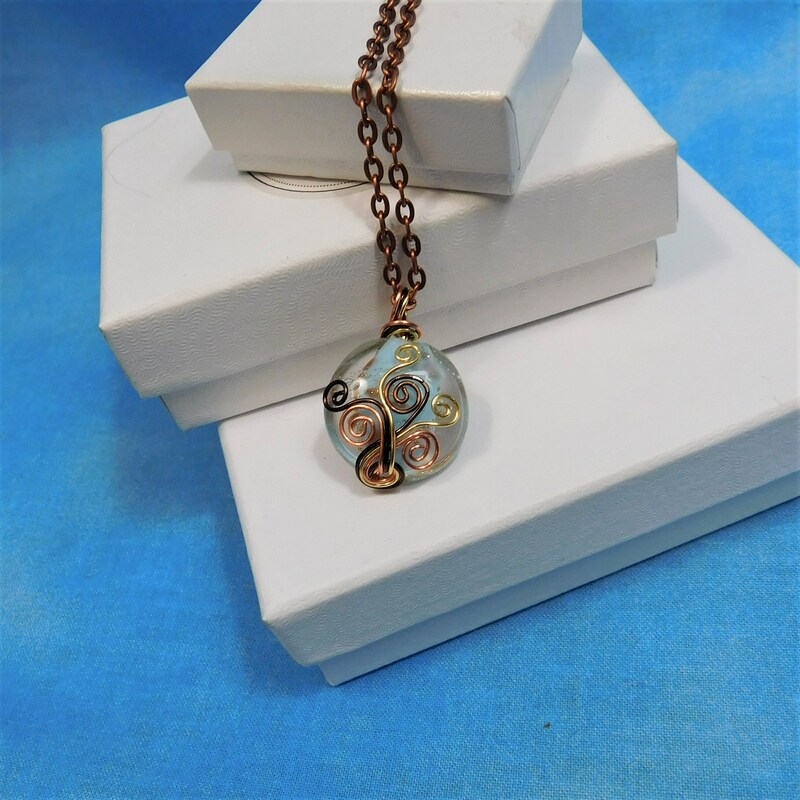 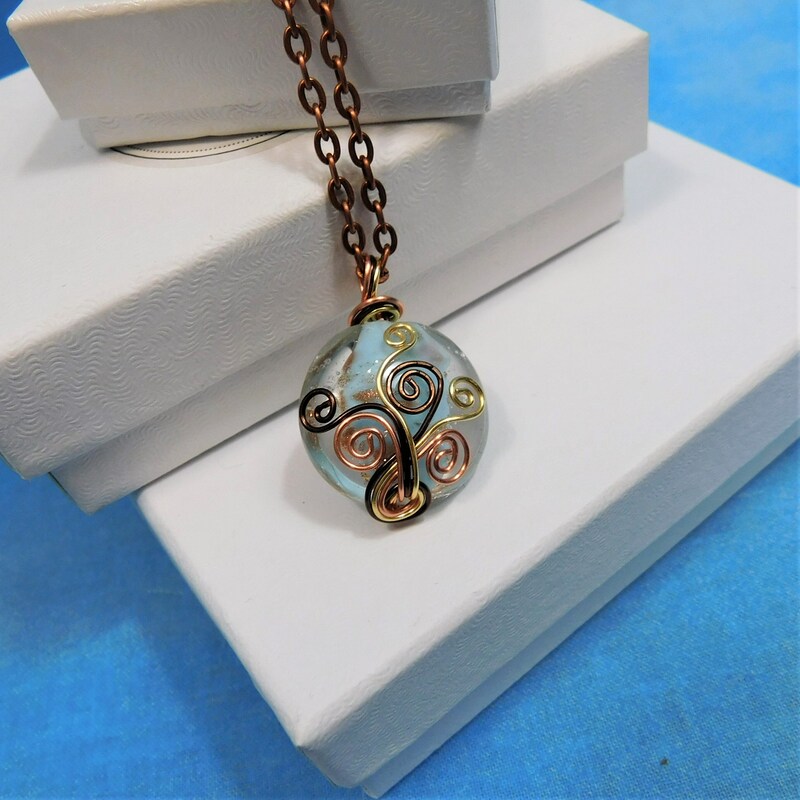 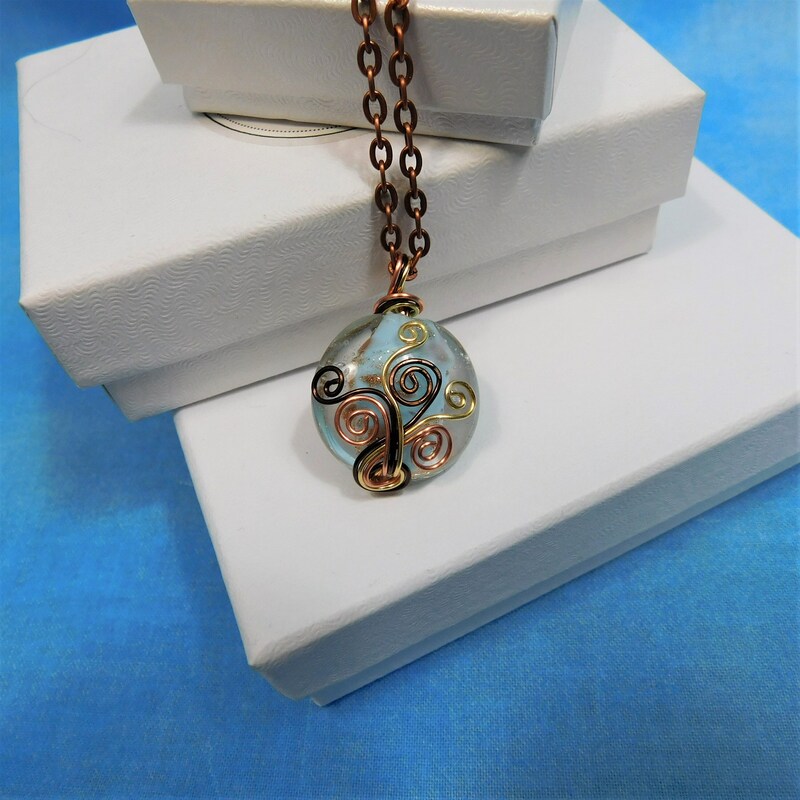 The artistic copper design accents the flecks of copper and gold seen deeply embedded within the blue center of the bead. 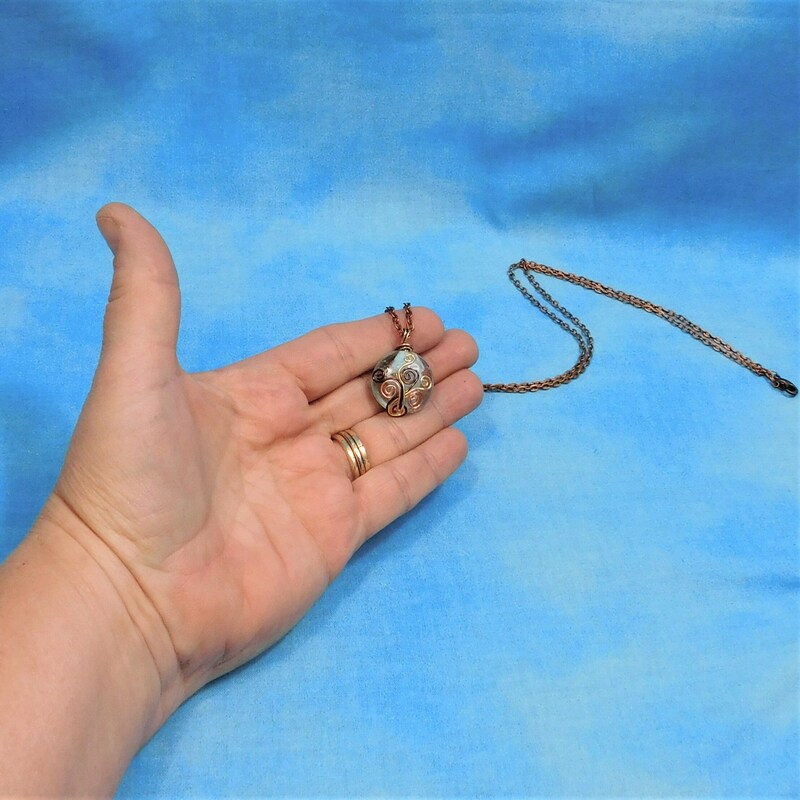 The pendant is one inch both directions and comes with a FREE coordinating chain with lobster claw clasp, measured to your preferred length.